My goal with every wedding is to create a memorable and unique experience through seamless planning and details. Wedding coordination is the foundation of the whole wedding experience and should be an enjoyable time for every couple. Whether you’ve daydreamed about your wedding since you were a child or you have no idea where to begin, I would love the opportunity to collaborate with you and create something very special. Each package below comes with an initial wedding consultation and each package can be customized depending on your wedding planning needs. Full service planning provides you with the highest level of support throughout the wedding planning process. I will work with you from our first meeting to create the wedding of your dreams. Making sure all the details are taken care of along the way and you can truly enjoy both your engagement and wedding day. A more hands-on approach to bringing your vision to life on your big day. I will help you lay the ground work and ensure you are setup for success and be onsite with you to make sure every little details falls into place. Need help pulling together the final details? This package is perfect for the organized couple who has it all done. Hand off the final details and enjoy the last few weeks of your engagement and let me handle everything onsite. Onsite coordination and management of Entire wedding day. Manage setup and transition between ceremony, reception and breakdown. Review all vendor contracts & confirm quantities of rental orders. Coordination of: wedding timeline, checklist and schedule onsite. Confirm arrival times and setup/breakdown with vendors. Management of all venue and vendor communications prior to wedding and while onsite. Sole point person for all onsite questions, needs and tasks during the wedding day. Make certain that you, as the couple, and all parents and wedding party are comfortable and have all the attention and service you deserve on the big day. I understand each event can be a little different and may need some additional love and attention. My goal with every event is to create a memorable and unique experience. Wedding Events: Coordination of engagement party, rehearsal dinner, welcome parties, post-wedding brunch, etc. Talk to any bride, and she’ll tell you that wedding planning is nuts! Thankfully I had a coordinator that was super organized, professional, and detail-oriented. From planning to execution, Kayla was so helpful and knowledgeable about the ins and outs of wedding planning, she was punctual, so gracious, very responsive with emails and texts, and also very calm and put together. She’s just such a chill and easy person to work with, and the ceremony and reception went flawlessly. I would highly recommend her for weddings and other events. Thank you, Kayla! "Kayla was our day of coordinator and did an exceptional job. However, saying she was only the day of coordinator is quite deceiving. She started helping us well beyond the day or even the month of the wedding. Using her contacts, she looked into other vendors for linens to help get us better pricing and helped with our search for a rehearsal dinner space. Needless to say, Kayla is absolutely fantastic! She took over handling all the vendors about a month out and was very organized. Where ever she could she would pick up small tasks, like picking up cakes from Costco, so that it was one less thing we had to worry about. Our wedding and bridal party were quite large which made for a lot of moving pieces. Kayla did an amazing job handling everything with ease which helped me relax and really enjoy the day. Not only did she handle the logistics well but also the people which I think is just as important. She did a great job of gathering everyone and making sure people were in their right spots and heading down the aisle at the right time in the nicest, calmest way possible. I remember my dad and I were trying to head down the aisle a little early and she paused us, gave me a big smile, and motioned to me to remember to breathe. It may not sound like much but in that moment it was it was huge to have her there! Kayla is fantastic at what she does and I highly recommend her! As someone who was on the fence about whether or not to hire a day of coordinator, I would say 100% yes hire one, and make the one Kayla!" "Kayla was absolutely amazing!! She went above and beyond in the months leading up to our wedding to help organize all the details and ensure we were moving forward with all of our milestones. Kayla was also incredible at responding to emails and sending me reminders as the big day approached. At the rehearsal she led the charge in keeping us in line and comfortable in with our roles for the next day. On the day of the wedding, Kayla was superb at her job! Kayla made it stress-free by being my go-to contact for every question and concern, and kept things running smoothly. I trusted Kayla completely to execute every detail and her attention to detail, creativity, and design background helped make our day absolutely beautiful. She did not disappoint! I am so happy I hired her!! I would highly recommend her to anyone looking for a wedding or event planner!" "Kayla was our incredible day-of-coordinator. From the beginning, she was very responsive and flexible. We met several times in the months before the wedding and corresponded frequently via email and phone. She was always available to recommend vendors or run ideas by. She helped me lay out the entire day and made sure everything was covered. A couple of days before the wedding, she took over everything, handling the rehearsal and wedding day final preparations, handling all vendors, confirming arrival times and set-up. The day of, she was amazing! 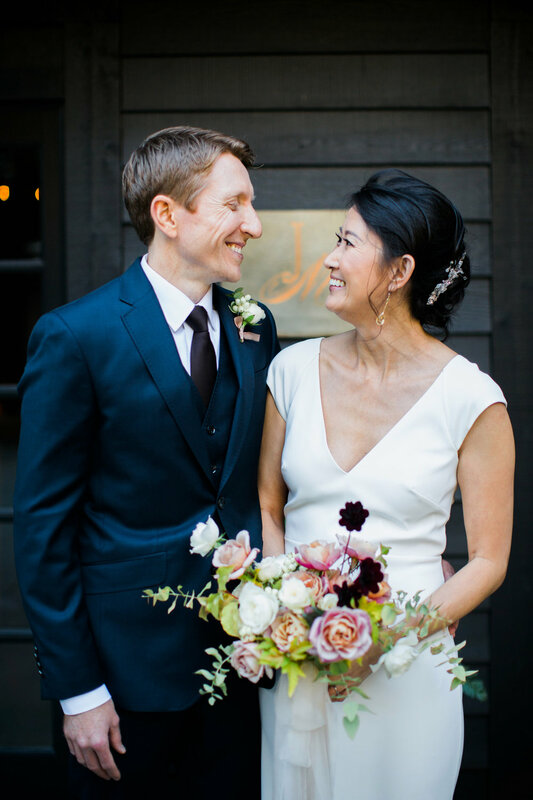 She fit in wonderfully with my family and wedding party and dealt with all the last minute details and problems that came up (like finding an iron to deal with some last minute wrinkles a half an hour before the ceremony). At the end of the night, Kayla made sure all my vendors got out on time and that everything was cleaned up. She even delivered some items that needed to be returned the next day. Kayla was incredible and I highly recommend her!" "There are no words! Kayla is absolutely exceptional at what she does! Kayla was our day-of wedding coordinator for our July 4th wedding, but she went above and beyond in the several months leading up to our wedding to become acquainted with each of our vendors, to help me organize all the details I wouldn't have been able to complete without her, and was incredible at responding to emails and sending me reminders/excellent ideas as the big day approached. On the day of the wedding, Kayla was worth her weight in gold. Kayla took every ounce of stress off me by being the go-to contact for every question, and she is superb at making game-time decisions to keep things running smoothly. She is right where she needs to be at all times, making sure each and every detail and decision is handled, while fitting in perfectly with your friends and family. Kayla's attention to detail, creativity, and design background helped make our day absolutely beautiful, and Kayla's second-to-none organizational skills, responsiveness and pure kindness made the wedding run like a well-oiled machine. I could not recommend Kayla more: she will help make your wedding day everything you could have ever hoped for!" "I used Ms. Cook's services for some planning in the weeks leading up to my wedding as well as day-of planning. She was well organized and thought of a lot of things that wouldn't have occurred to me, and she did a great job helping me with my floral arrangements, vendor communications, and venue decor. I've scoffed at the idea of hiring a wedding planner but realized how invaluable it was to have her help me in the final stages of wedding craziness. She communicated with me regularly and met me on a weekly basis to ensure that every detail was covered. I highly recommend hiring Kayla Cook for her professionalism, keen design eye, organization skills, and for being well connected in this industry." “Kayla went above and beyond as our day-of wedding coordinator. We loved how professional, organized and proactive she was throughout the planning process. She was incredibly accommodating and quick on her feet when it came time for the big day. We had a home wedding with a very unique layout so there were definitely some challenges to overcome, but Kayla used her creativity and expertise to handle it all with style and grace. Everything went so smoothly and turned out better than we could have imagined. We would absolutely recommend her to anyone looking for a wedding planner. Thank you so much Kayla!"